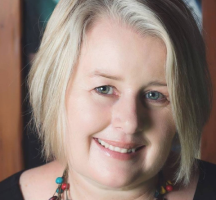 "With over twenty years experience at Brisbane’s Treasury Casino, Heather was one of the first employees to start the Customer Relations program in 2005. The program leveraged CRM tools and the then loyalty program, Casino Rewards, to provide personalised service for the casino’s most valued customers. In 2008 Heather took on the role of VIP Services Manager and led the operational provision of the casino’s loyalty program to the thousands of members. Then in 2012 Heather moved into the position of VIP Relations Manager, leading the team that she had first started back in 2005 and was now responsible for the revenue for over three thousand members. Heather was the operational lead for the transition and deployment to a new loyalty program in 2012, and then again in late 2017. With the mantra that we are nothing without our customers, Heather combines her experience in relationship marketing and loyalty expertise to achieve her commercial goals in a highly competitive market." "Emma Mehaffey joins us today as a Senior HR Manager at Virgin Australia. Emma has spent the last 12 years working at Virgin Australia across a number of areas. From the frontline & Guest Relations , to Managing the Staff and duty travel programme for the company. Her role expanded to take on the design and implementation of the Ideas Lab and eventually saw her move into HR where she took on the role of Manager, Career and Engagement. Taking a key lead in the Purpose movement, her role broaden again to Head of Service Delivery, responsible for Talent Acquisition, Engagement initiatives and continued management of Team travel. In the last 6 months she has taken a side step to Head up a key HR project , implementing a shared services model in HR & focusing on process improvement. Emma’s passion for travel and aviation runs throughout her career with her holding a number of roles within Flight Centre, including Store Manager and Product and Training Manager before her move to Virgin. Emma passionately believes in Leadership and was the inaugural winner of the Leadership Excellence award at the Annual Virgin CEO Awards. Emma believes that Inspiring people to bring their best self to work, is every Leaders responsibility. Having an engaged workforce is essential to managing tough economic times and truly the crux of delivery exceptional customer service. She is a proud employee of Virgin Australia and looks forward to sharing her experiences and insights working within this amazing organisation." Our industry is entering a new and challenging phase, where an ever rising set of consumer expectations are outpacing our ability to satisfy them with our traditional business practices. Ben will share the latest insights into how to focus a business on delivering client value, and building a genuine competitive advantage by connecting culture, practices and the use of data. Ben is the co-founder and CEO of the data-powered growth platform Ailo and managing director of LPMA, a global community helping property management leaders take the next step. Ben previously drove the creation of Ray White’s property management franchise offering, which was launched in 2007. For over 20 years, Steve has been at the forefront of the digital revolution and held senior roles in online advertising with three of the world’s leading media companies. He joined global online advertising company, REA Group in January 2010 and is regularly the voice of the company on how technological change is transforming the way consumers buy, sell and rent property. In 2017, he founded Digital Live, a digital and social media education programme for real estate agents which raises money for disadvantaged children to support their digital and technology education. Steve understands our clients intimately and knows that they’re expectations have changed - no longer are we being compared to another property management service but the best customer service experienced around the world. "Born without the lower portion of his spine, Kurt Fearnley OAM has crawled along the Great Wall of China, completed the Kokoda Challenge and is an Australian Paralympic Gold medallist. At the Gold Coast 2018 Commonwealth Games Kurt finished his incredible career by winning Gold in the gut wrenching marathon."" "Ash is a powerhouse of energy and positivity with a passion for life, health and fitness. Launching Ash Marton Realty with his business partner Lilly in early 2012 at the age of 22, Ash has been captivated by a desire to innovate the real estate world. Recognised by industry leaders as one of Australia’s most dynamic and forward thinking agents, Ash has featured as an industry expert on numerous tv programs including Sky News and Selling Houses Australia." "Jonathan's pedigree is impressive, having worked with some of the biggest privately owned Real Estate companies in Queensland in a variety of roles including Property Manager, Business Development Manager, Office Manager and Team Leader. As Operations Manager, Jonathan oversees the development and training of the property management team. He ensures that systems, procedures and technology within the Property Management team is industry leading to provide the best customer experience possible to clients and firmly believes this stars with team culture."" "Mel has experienced a meteoric rise in her very short property management career and in fact, was this year's winner for LPMA's Rising Star. Entering property management with some life experience, at the heart of Mel's approach is her understanding of her clients' reasons for investing which sees her deliver more than just maintenance or leasing but full service investment management. Mel's going to share with you how to fasttrack your career by getting to the heart of what property management is all about." "Maria Carlino inspires individuals to excel. Her exceptional experience and insightful knowledge has benefitted clients and team members for more than 25 years. An innovative leader, Maria has represented some of the most successful agencies in the country. She intuitively understands what it takes to develop relationships and create solid business partnerships. Equally impressive behind the scenes, Maria is stimulated by the opportunity to define people’s careers. She is a respected mentor sought-after for her expertise, who encourages everyone to work together to achieve great outcomes."" "We all know communcation is the cornerstone of property management. We know landlords leave and tenants complain due to poor communication. Jodie attributes her career to a few key things, with one of them being able to communicate with an interests verse rights approach which sees far better outcomes. She'll share with you how to see the bigger picture in negotiation and how to deliver news in a way that leaves the person feeling like you're on their side. " An offhand comment from her Accountant about the remarkable turnaround of a local manufacturing business introduced her to the world of lean thinking and she completely transformed her business by applying these methodologies. Terri is now using her own experience to introduce lean thinking to real estate agencies everywhere. To her way of thinking, who wouldn’t want to create an outstanding culture within their business whilst providing exceptional customer service." 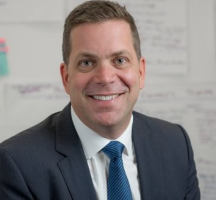 "With more than a decade in real estate in Melbourne’s vibrant Inner North West, Simon Mason is an award winning real estate expert who brings a consultative and process driven approach to his role at Jellis Craig Kensington. Approximately 2 years ago, Simon & John realised that their property management side of their business wasn’t as vibrant and as successful as their sales side and they were looking for reasons as to why. Enter a property management coach who helped them see that much of what they systemised on the sales side was transferrable to their property management business. It has been a journey, but their dedication to operational excellence has produced impressive results across their culture, growth & profitability." "At the age of 20, best mates Nic Marchesi and Lucas Patchett built a free mobile laundry in their old van to help the homeless. Orange Sky Laundry began in October 2014 and since then, the world first idea has rapidly expanded to 11 vans in Brisbane, Melbourne, SE Melbourne, Adelaide, Sydney, Canberra, Hobart, Perth, Gold Coast, Sunshine Coast and Wollongong. " "Ruwin is the co-founder of Different, focused on business, finance, operations and marketing. He's passionate about excellent service, cricket and red meat (though not necessarily in that order). He was a principal on Google’s global business strategy team in California before becoming a Director at Softbank, one of the world’s largest internet-sector investors. Prior to that, he worked on strategic engagements throughout the US with the Boston Consulting Group." "Andrew and Amber head one of Australia's most successsful Real Estate agencies on the glittering Gold Coast. A few years ago when Amber joined, things were really tough - the division wasn't performing as well as it should, growth was almost non existent and the staff were running in and out of a revolving door. Amber with Andrew's support has turned that around, surviving the rough to thrive in the high seas. First things first, they needed to align, align their vision, their teams and their service offerings and marketing. This intriguing interview will be facilitated by Emily Sim, Head of Property Management across the Ray White Network and resident PMC Journalist." "Amna Karra-Hassan founded the first ever AFL Women’s team in Western Sydney and is widely recognised for the diversity she brought to the game and for taking the code to Western Sydney. The Club played a critical role in establishing the game in the region, both for women and for its engagement with diverse communities, contributing to the recent inauguration of the GWS Giants in the AFLW. Amna believes the heart of innovation, civic participation and community building is a ‘strengths based approach’ and commitment to diversity and inclusion." Ashley comes from an entrepreneurial family. His father was one of the founders of Jet Boating in Queenstown NZ in the early 80’s. It is no surprise then, that at 17, Ashley started his first venture becoming the youngest restaurant owner in New Zealand. Since then, Ashley has put his innovative, and somewhat maverick mind to various service industries, including the last 10 years in Property Management. Having successfully built up a boutique office and team in Auckland New Zealand that he still owns, Ashley is now proudly part of the LPMA family. Ashley will share a vision of opportunities that await the early adopter, mavericks and risk takers in Property Management have available to them now, and in the future. "We all know communcation is the cornerstone of property management. We know landlords leave and tenants complain due to poor communication. Rikki attributes her career to a few key things, with one of them being able to negotiate with an interests verse rights approach which sees far better outcomes. She'll share with you how to see the bigger picture in negotiation and how to deliver news in a way that leaves the person feeling like you're on their side." "Over the last 20 years Haesley has sat at the forefront of Brisbane real estate. He has been a multi award winning auctioneer, business owner and national trainer." As MC, Haesley keeps the pace up, interjects fun at every turn and keeps engagement high even after the party the night before that causes more than a few headaches. He might even regale us with his traditional 'Review of PMC2018' Auction Style." "At the age of 20, best mates Nic Marchesi and Lucas Patchett built a free mobile laundry in their old van to help the homeless. Orange Sky Laundry began in October 2014 and since then, the world first idea has rapidly expanded to 11 vans in Brisbane, Melbourne, SE Melbourne, Adelaide, Sydney, Canberra, Hobart, Perth, Gold Coast, Sunshine Coast and Wollongong." "In the property industry, Kasey is synonymous with Property Management excellence. 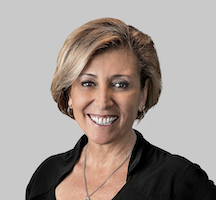 Having started her career in real estate industry in the late 1990s, she has gone on to become one of the most highly regarded Property Management Consultants across Australia, New Zealand and the US. With a reputation built on professionalism and bottom-line results, she is trained in Best Practice Systems and can revolutionise and streamline internal property management procedures to encourage steady growth and better profitability. Kasey has introduced better practices, training and system implementation to more than 150 real estate offices around the globe. Her ongoing support, training, auditing and re-structuring strategies promote increases to bottom-line profits and efficiencies in poorly performing offices. From her experience as a real estate business owner herself, she has a thorough understanding of the key operations for any successful real estate business. Kasey has the experience and results to equip business owners with the tools they need to efficiently run their real estate business for better future profitability. As the director of the Property Management Training Academy, Kasey assists some of the country's leading real estate groups and is a sought-after keynote speaker both here and abroad including New Zealand and the USA." 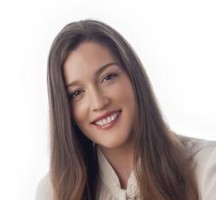 "As Property Management Trainer for Belle Property Australasia, Ashleigh is both passionate & committed to the enhancement of Property Management Services across our changing industry. With over 10 years’ experience across a number of market places, she has a strong understanding of the challenges we face & what it takes to excel." Now in its 11th year, PMC brings together over 600 of the industry's most innovative professionals for two days of learning, case studies and fun. 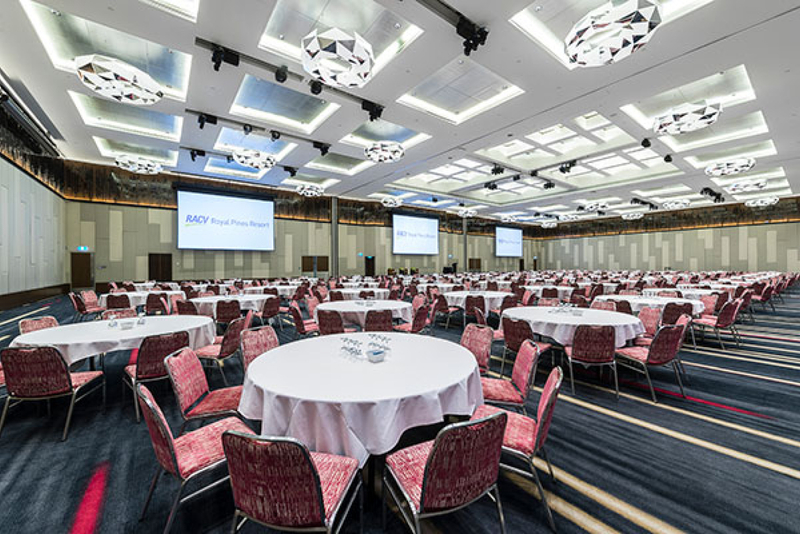 The Conference will be held at RACV Royal Pines on the Gold Coast, Queensland. We have organised a special accommodation rate for PMC 2018 Conference attendees. You can view accomodation options here or contact the hotel directly on (07) 5597 8700 and mention you are attending PMC 2018. Tickets include both conference days and the Gala Party.